If you want your event to be buzzing with atmosphere, energy and excitement then a live band is the way to go – and if you want music that will appeal to guests of all ages and tastes, the best kind of band to book is a Function Band. Function / Party Bands are made up of professional musicians who play cover songs, encompassing all popular genres of music, from upbeat pop, rock, soul and funk that gets people dancing, to jazz and acoustic sets that blend into the background. Bands range in size, from a Duo, where members sing and play instruments or use backing tracks, to a seven or eight-piece band, or bigger. One thing they all have in common is large repertoires of songs and set lists spanning several decades. From Jazz, Swing and Rock ‘n’ Roll to Motown, Disco and current chart music, there are bands to suit every taste. Most specialise in a particular style and will usually dress the part too. They also tend to be made up of extremely talented and versatile musicians who can tailor their set lists to your requirements and even take requests. Here are three of our fantastic Function / Party Bands just waiting to make your night! 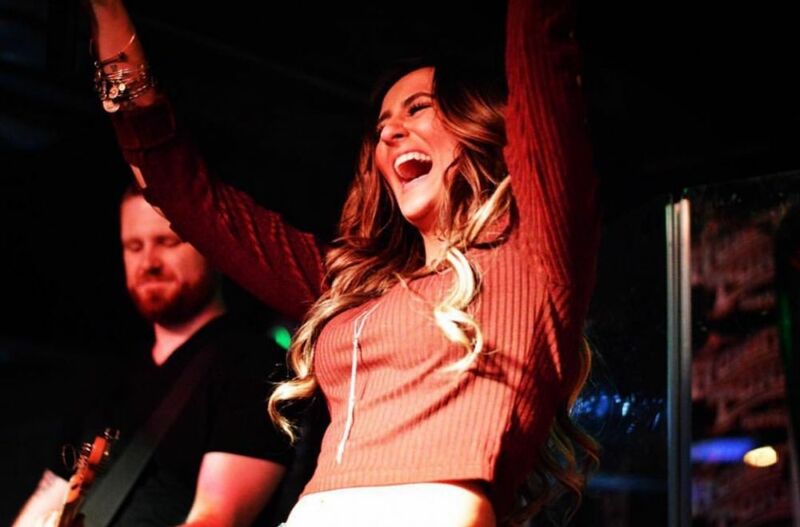 Shane Scarazzini & EightFingers is a top New York Function / Party Band, fronted by well-known Nashville musicians Shane Scarazzini and Alyssa Startup. 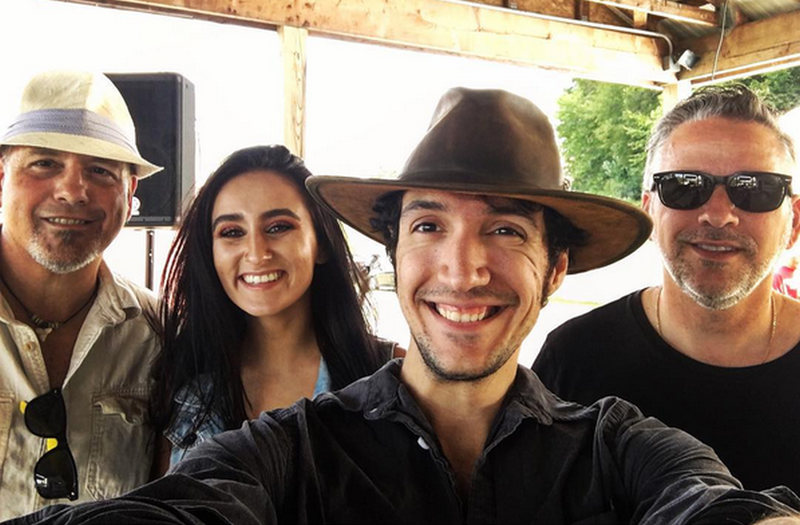 The band brings joyful, engaging shows to people from all walks of life and they cover a wide variety of genres including Country, Pop, Top 40, Blues, Rock, Americana and much more. Shane Scarazzini is a blues, country and rock rooted guitar player, influenced by Les Paul and BB King, as well as a highly versatile musician who has also branched out into jazz, funk, pop and fusion music. With hundreds of shows under his belt, Shane has worked as a session musican and recording artist and has toured extensively, performing on board luxury cruise lines and at top venues such as Bethel Woods, The Falcon and Hard Rock Cafe NYC. He has played alongside many famous names from the music industry – Rusty Paul, Lou Pallo and Richie Cannata to name just a few. 2017 sees the launch of Shane Scarazzini & EightFingers – an original trio hitting the road with fierce intensity! EightFingers is a high-energy, charismatic band of top notch musicians who know just how to get your party started. Guests will be dancing and singing along and the whole venue will be buzzing. To find out more about Shane Scarazzini & EightFingers and to book a night to remember view their profile or visit their website. 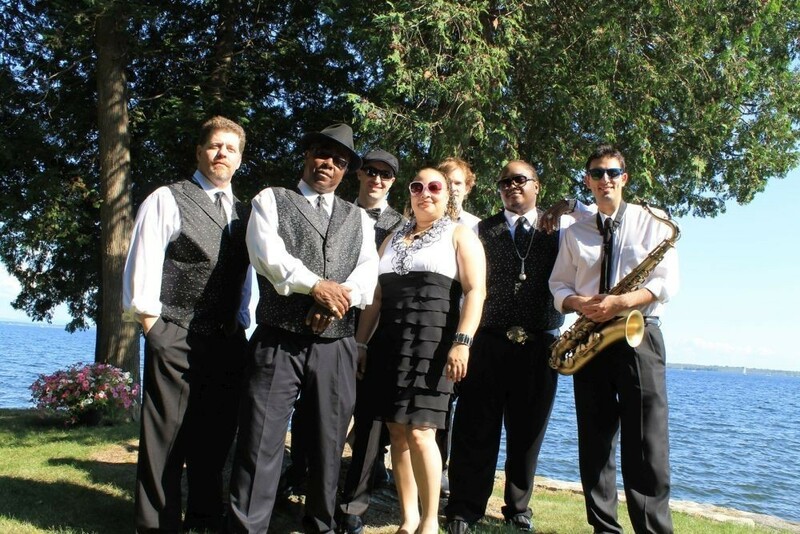 The Dave Macklin Band in New York is a premier, powerhouse, high-energy, super fun, funky Top 40, R&B, Motown, Reggae dance and show band, playing favourite dance classics from the 50s to the present day. The band has three amazing lead vocalists, 2 male and 1 female. They are some of the music industry’s most sought after singers! With a 6-piece or 8-piece line-up and 2-piece horn section on request, The Dave Macklin Band is perfect for any event, large or small. You can rely on them to deliver dynamic vocals, infectious harmonies and a powerhouse, high energy sound. Songs featured on the website are only a sample of the band’s vast repertoire and new songs are being added continuously. Set lists can be customized to fit your exact needs. For more videos, reviews, bios and to book a truly unforgettable show with The Dave Macklin Band, view their profile or visit their website. EPIC Party Band is a hand-picked collaboration of musical forces, combining the best in Dance/Pop music. 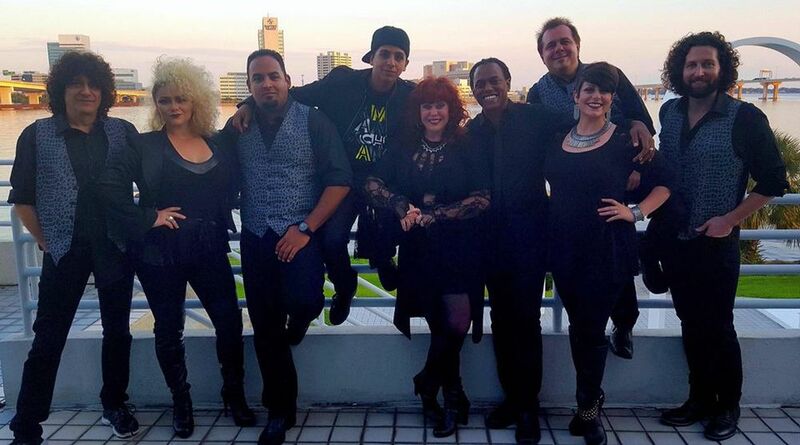 Based in Orlando, Florida, EPIC performs a fantastically eclectic variety of musical styles, from Mariah Carey to Vanilla Ice and Rihanna to Bruno Mars. Their DJ mash-up style of Dance, Pop, HipHop and Rock creates a party vibe with an energy that is highly contagious. For something a bit more laid back, or to ease guests into the evening, EPIC also offer a trendy ‘unplugged’ set. EPIC deliver a high-octane show that will keep your guests on the dance floor and singing along to the classic pop music of the 80s and 90s. To find out more booking the band, view their profile or visit their website. Know your audience: When choosing your entertainment, think about the age range and tastes of your guests and what kind of music are they likely to enjoy. 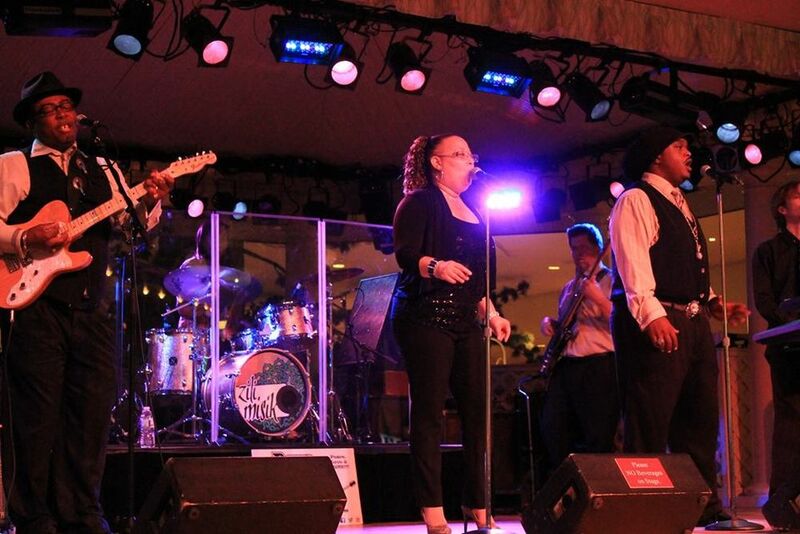 From Soul & Motown Groups and 80s Tribute Bands to Swing Bands and String Quartets, you can find just about every musical genre here on Entertainers Worldwide. Set List: Will the band tailor their setlist to suit your particular requirements and include specific songs that you want to hear? Let the band know if have any special requests. Costumes: Most Function & Party Bands dress smartly and in a style to match the music they play. Perhaps you’re having a party with a particular theme, or a corporate event where you would like the band to wear t-shirts displaying your company logo. Discuss any special costume requirements when you book. Budget: The cost of hiring a live band can range from a couple of hundred pounds to thousands. A big-production band will cost more than a Duo, Solo Singer or DJ and it will also depend on how experienced and high profile the act is. Factors such as travel expenses may also affect the cost and bookings at high-demand times such as New Year’s Eve will be extra. Venue: Make sure the venue and performance area is big enough. Musicians need space for their instruments, microphones, speakers and other equipment. They may need a dressing room. Adjustments may be necessary if your venue is outside, on a boat or if there is no stage. It’s also worth checking how the band will be travelling to the venue and if parking is available. Timings: How long does the band need to set up and soundcheck, how long will they be playing for, what time to do you want them to start and finish playing, will there be breaks while other activities take place, what breaks do they need? If the band knows the schedule in advance, they can tailor their show accordingly and provide the best possible experience for your guests. Equipment: Most bands will provide all the equipment they need but it’s always worth checking, just in case. Once you’ve found a band you like the look of, make sure you let them know what kind of show you want and discuss the practicalities in advance, to avoid any last minute hitches. You and your guests can then relax and enjoy a great party! 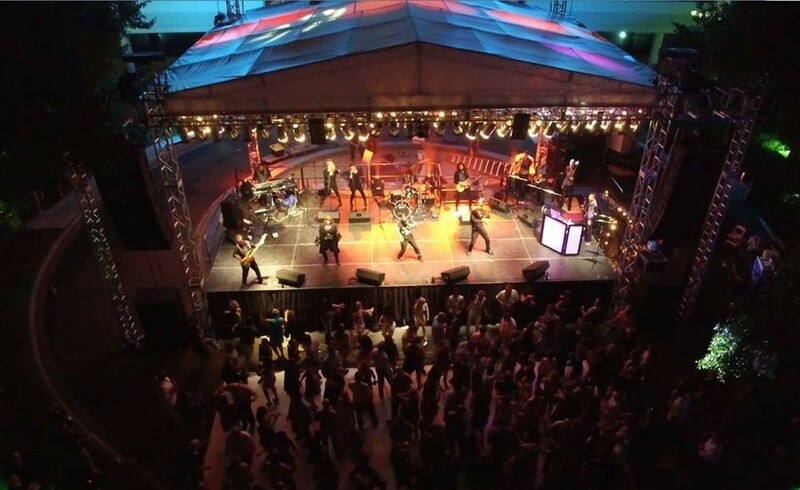 View all of our Function & Party Bands worldwide. View all of our Duos worldwide. View all of our Live Bands & Groups worldwide. Introducing Function/Party/Wedding Band – Cache Live! from Miami, Florida USA! This entry was posted in USA Function/Party & Wedding Bands, Which Type of Entertainment Should you Hire?. Bookmark the permalink.